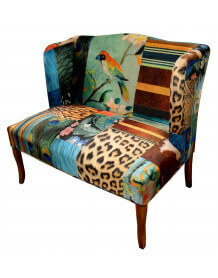 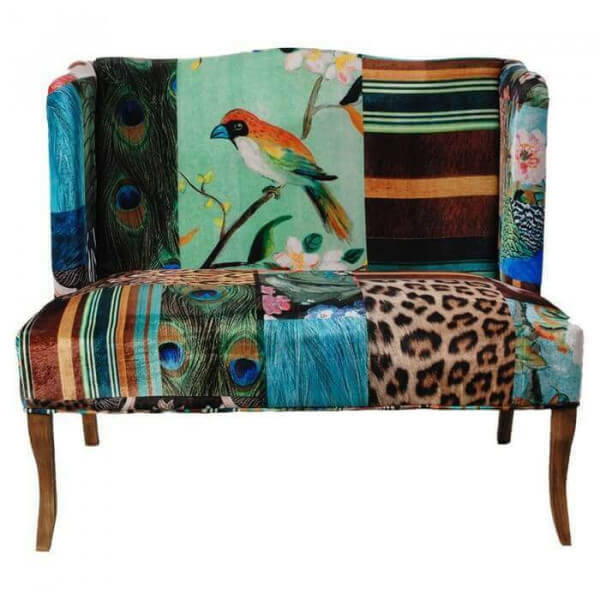 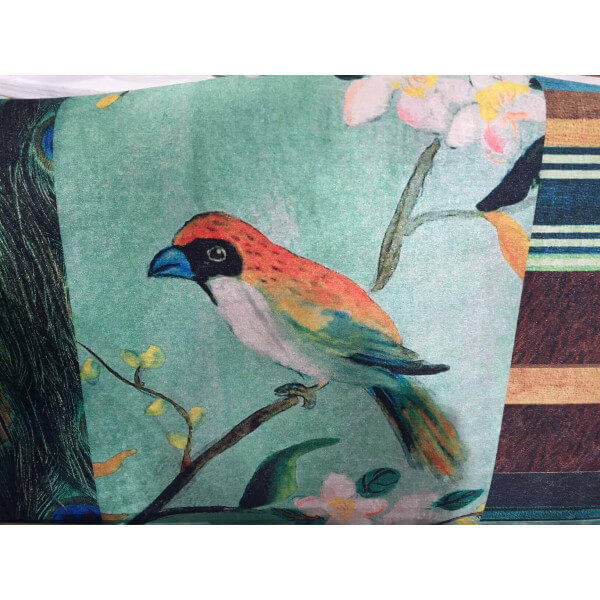 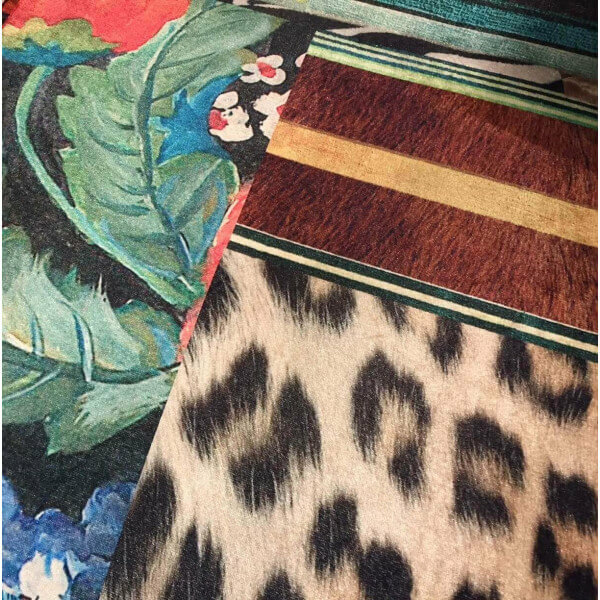 Small 2 seater sofa covered with an original exotic printed patchwork fabric. 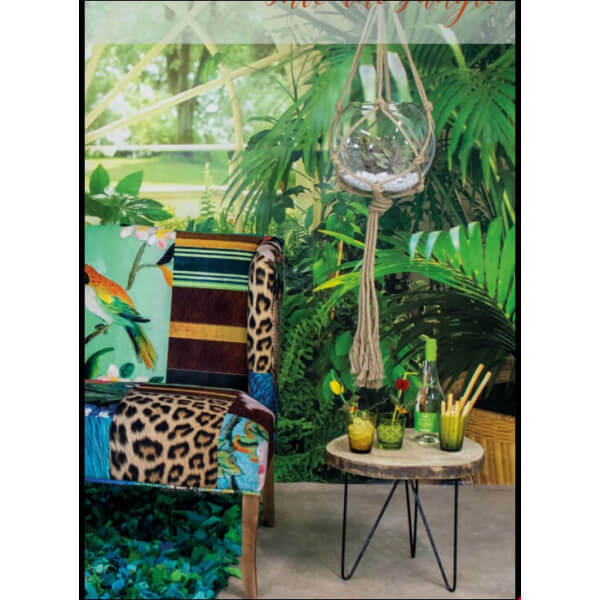 Decorative furniture ideal to place in an entrance, a living room, a corridor or to give an atypical and surprising side to your interior. 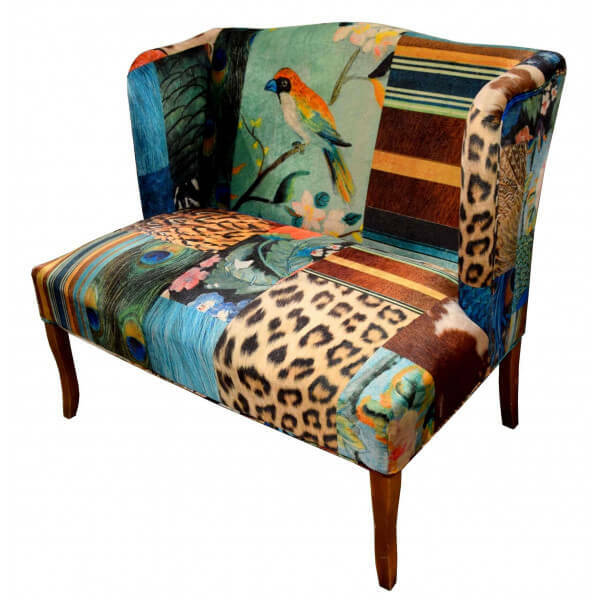 A classic style of French charming furniture revisited with a trendy fabric.